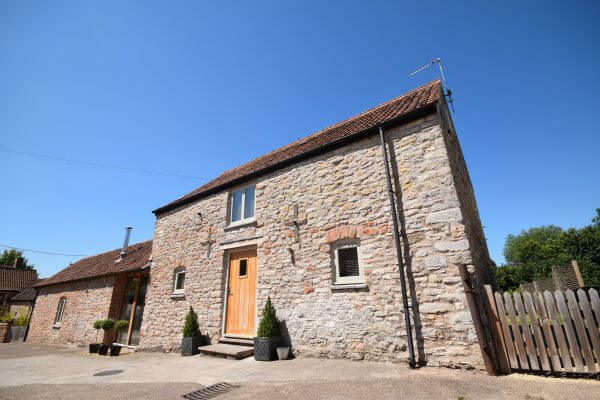 Self-catering luxury barn,sleeps 16, Chew Magna,Somerset. Bath/Bristol. 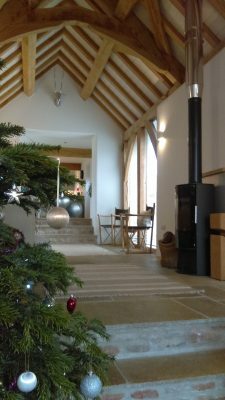 Oak Barn is a light,spacious, five bedroom barn conversion, providing self catering accommodation for groups of up to sixteen. 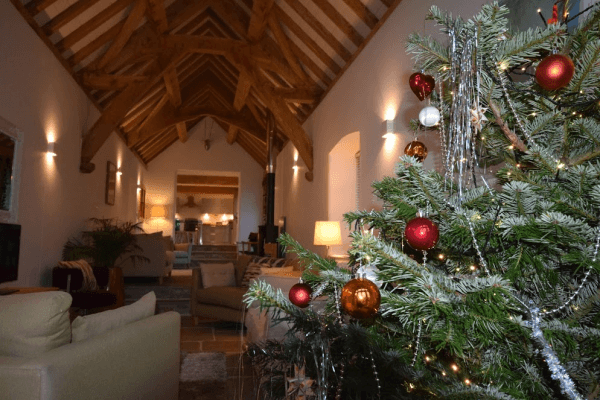 Situated in the picturesque Chew Valley and at the edge of the village of Chew Magna, Oak Barn lies halfway between the cities of Bristol and Bath.Perfect accommodation for wedding guests attending Chew Valley weddings!Seven minute walk to Chew Magna.Large lawned gardens surrounded by mature trees and open countryside. 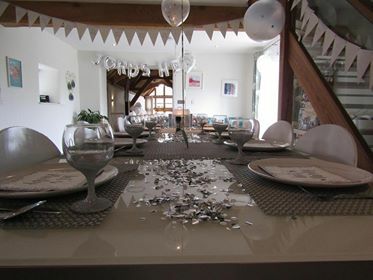 With its generous, open-plan layout and its large, private country garden, Oak Barn is the perfect venue for a great social time in and an ideal base to visit the beautiful cities of Bristol and Bath, both within a 25 minute car journey (minibus hire details are available). The village centre is a seven minute walk from Oak Barn – perfect if you would like to take advantage of the three village pubs or the local coffee shop. The Three Peaks walk (www.threepeakswalk) is right on the doorstep and a national cycle path on the lane. Large lawned gardens ,surrounded by mature trees and open countryside. 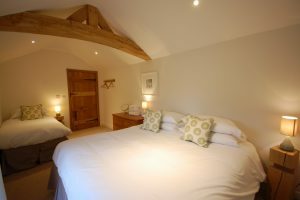 ”We stayed at the Oak Barn for the weekend for my sisters hen party and it was beautiful. The photos are not a patch on what it looks like in real life. There were 15 of us and it never felt cramped, the kitchen was well equipped and the lounge was very cosy. The surrounding area was great for walking, can highly recommend a stroll through the fields to the Salt and Malt for some lunch. An absolute idyllic cottage in stunning surroundings. 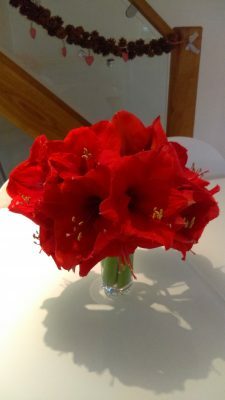 The host, Vicki, was excellent, brilliant communication from start to finish and made us feel extremely welcome”. ”What an incredible place to stay! 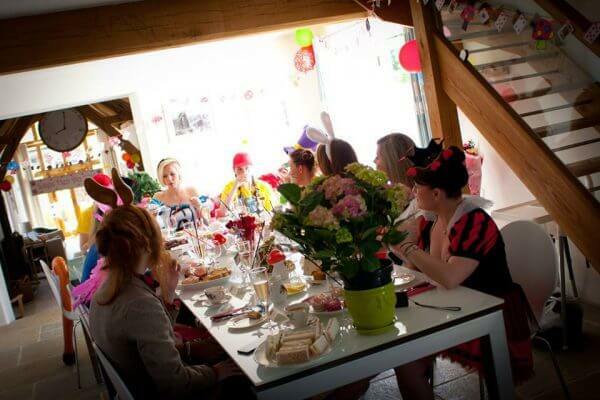 Just returned from my hen party and we all loved the barn and had a fantastic weekend. Beautiful setting, great facilities, beds are so comfortable, showers hot and powerful and the place was absolutely spotless. 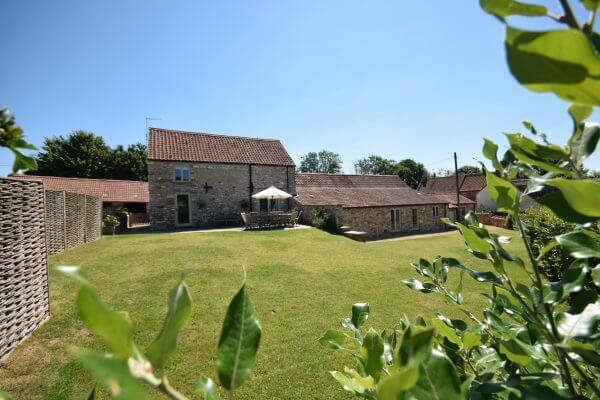 Location: Situated in the picturesque Chew Valley and at the edge of the village of Chew Magna, Oak Barn lies halfway between the cities of Bristol and Bath. Bedrooms: Five bedrooms all generous in size with flexible bed arrangement:either super-king or single beds. Bathrooms: Three. Two with sumptuous rain-showers and one with a bath and shower above.Heated towel rails. Kitchen: Large fully-equipped contemporary kitchen,equipped with everything you need to entertain groups of sixteen. Double oven, large fridge/freezer, microwave and all the cooking equipment you should need. Entertainment: Tv and DVD player. Wi-Fi. Outside: Gorgeous South facing country garden surrounded by mature hedges and trees. Terraces overlook the orchard and surrounding open countryside. Open the large double door ,and enjoy the fully enclosed large private gardens. General Points: Log burner with logs provided. Underfloor heating. Heated towel rails. All linen and towels provided. Parking: Parking for 5 cars in the courtyard next to Oak Barn. More parking available if needed. Children: Children welcome. Highchair provided, cot available. Child friendly cups, bowls and cutlery provided. Pets: Dogs allowed by prior agreement at an extra cost of £25 per day per dog. Max 2. Train Station: Keynsham – 7 miles. Temple Meads -8 miles. Airport: Bristol Airport - 6 miles. We can help to arrange: chef catering, canapes or afternoon teas. Beautician treatments. A range of fun group activities. Just ask for details. The Bear & Swan is a popular village pub and restaurant with a warm and cosy atmosphere. Seven minute walk from Oak Barn. Salt and Malt is an award winning fish and chip cafe and take-away at Chew Valley Lake. Ten minute drive or half an hour field walk from Oak Barn. Moondance Café and Gift shop offer breakfast, lunch and afternoon tea. All food is sourced locally and prepared onsite. Seven minute walk from Oak Barn. The Pony & Trap is a Michelin starred country pub and restaurant, offering fine dining in a cosy atmosphere. Half an hour field walk or five minute drive from Oak barn. 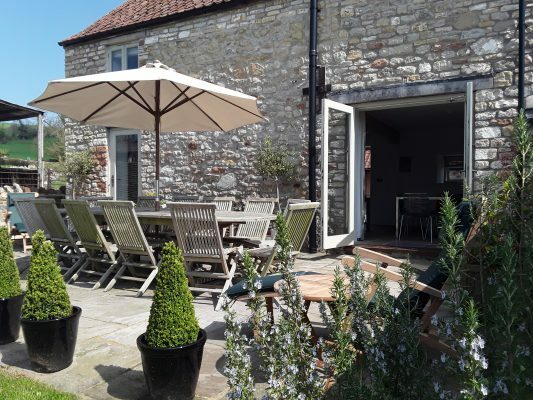 Chew Kitchen is a popular restaurant in the beautiful country side of Chew Valley. Friendly atmosphere and delicious food. Ten minute drive from Oak Barn. The Pelican is another popular village pub and restaurant, offering great food, real Ales, fine wines and spirits. Seven minute walk from Oak barn. Woodford Lodge is a new restaurant overlooking Chew Valley Lake, serving breakfasts, boards and burgers. Ten minute drive or twenty minutes on the cycle-path. Low Season: From: £1400 two night minimum stay. 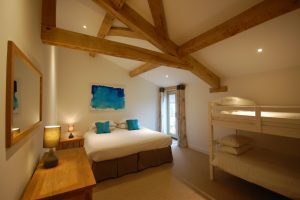 Mid Season: From: £1600 two night minimum stay. 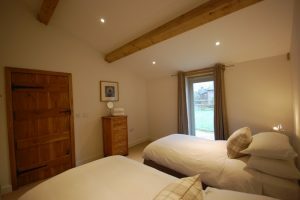 High Season: From: £1800-£2000 two night minimum stay. Short Breaks: From: Two/Three night stays from £1400/£2000 low season-£2000/£2800 high season. Minimum two night stay.Deposit 25% to secure booking.Balance and refundable £300 security deposit payable 8 weeks prior to your stay. Paypal, bank transfer or cheque. 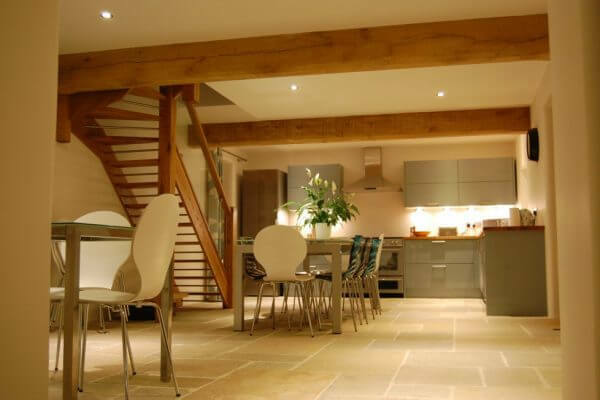 Property: Oak Barn,Chew Magna,Bath/Bristol/Somerset-Sleeps 16 – Luxury barn.